What is better than anything that can restore the smile on your face right? Dentures are such appliance that can do more than just replace missing teeth it can restore your smile. Technically, they are removable custom-made false teeth which are made of acrylic (plastic), nylon or metal. They fit in tightly over the gums to replace the missing teeth and remove any possible problems caused by gaps. They are fully removable denture. It is placed in your mouth only after the removal of all your remaining teeth. This may take several months because of the time taken to heal the gum’s tissue. This removable denture does not take much time. It is inserted on the same day that the remaining teeth are removed. Your dentist will customize it in your preliminary visit. Therefore, here you don’t have to go a single day without your teeth even during your healing period, but the denture has to be remade after your jaw has healed. They are dentures rested on a metal framework that is attached to your natural teeth. Partial dentures have removable alternative to bridges. Due to normal wear and tear over a period of time, the fitted denture needs to be relined, remade, or rebased (making a new base while keeping the existing denture teeth). It is natural that as you age the mouth changes, these changes cause the dentures to loosen over time, making chewing difficult and irritating your gums. Therefore, you should see your dentist annually for a check-up. 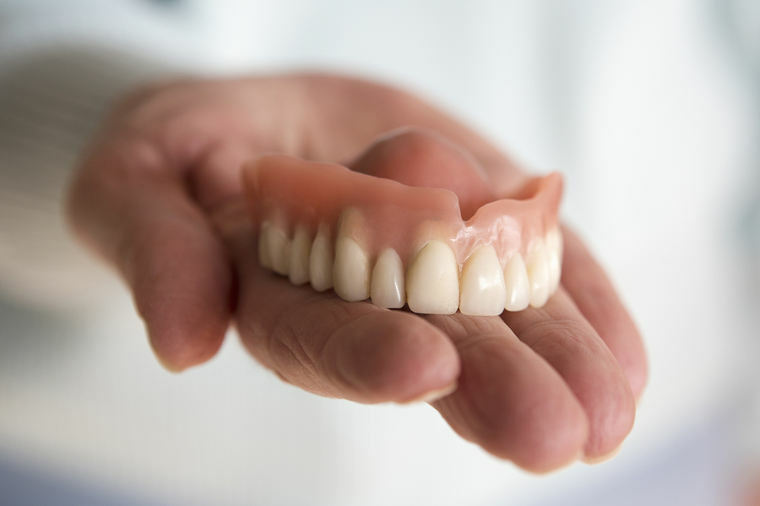 Dentures are fragile and may break if dropped, so avoid dropping. Don&apos;t let your dentures dry out. Use an ultrasonic cleaner to care for your dentures.